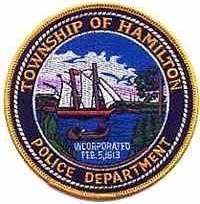 On January 21, 2014 at approximately 12:56 pm, the Township of Hamilton Police Department responded to a Pedestrian Motor Vehicle Crash in the Walmart parking lot. Rocco Policarpo, a 78 year old male from Mays Landing, was walking out to the parking lot of Walmart when a 2012 Lexus driven by Andrea Fogg, a 41 year old female from EHT, struck him causing injuries. The victim was taken to AtlantiCare Regional Medical Center for treatment of non-life threatening injuries. Assisting at the scene were Twp Of Hamilton Rescue Squad, AtlantiCare Paramedics and Walmart Security. Fogg was issued a summons for Careless Driving and Failure to Yield to a Pedestrian.